Villa Ezzahra sleeps 14, Villa Alkhozama sleeps four and Villa Azzaytouna sleeps six guests. Each house is private and independent from the other with private pools and gardens. Here’s a plan of the Ezzahra Estate. 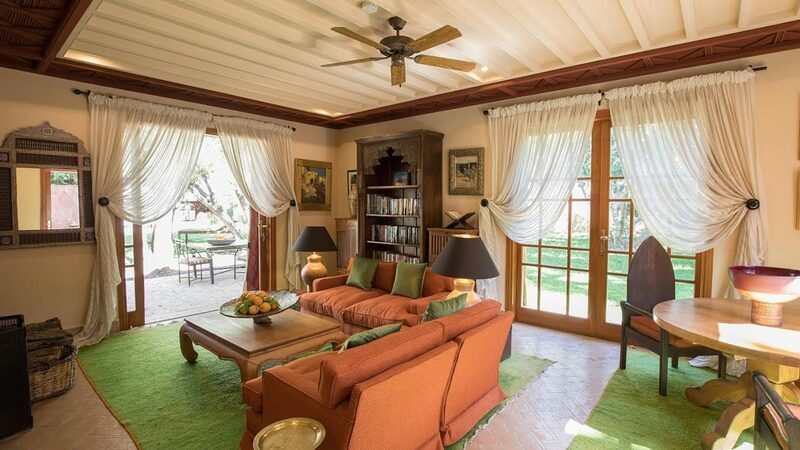 The villas, which come fully staffed, can be hired individually or together, which with the owner’s pavilion, can accommodate up to 26 guests in total. All villas are rented for exclusive use only. 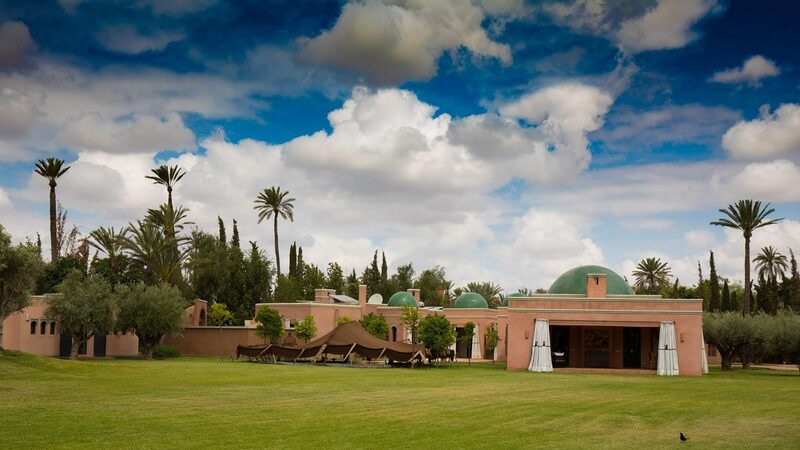 Stays at Ezzahra include all spa treatments, food and soft drinks as well as a return Marrakech airport transfer. Our experienced cooks prepare a daily menu of delicious, seasonal Moroccan dishes alongside lighter European options and an irresistible children’s menu. 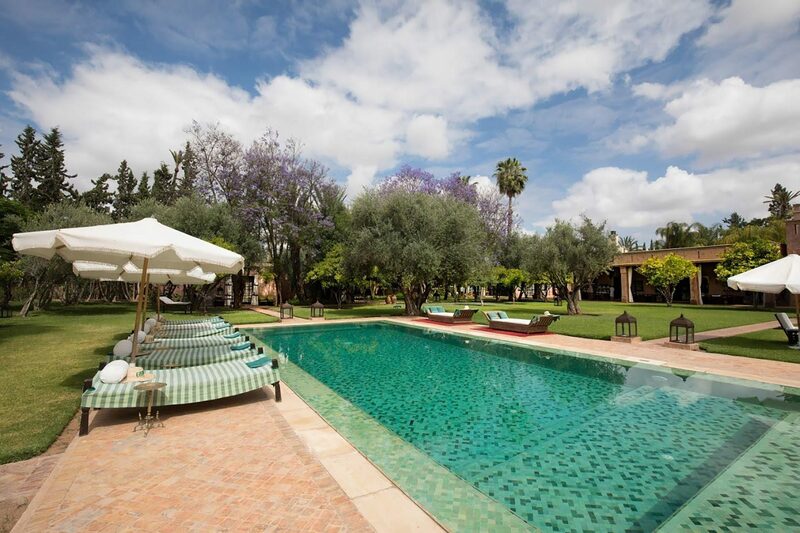 We have also added a few special touches to entertain our guests, such as a full-size pool table, a large Moroccan tent for drinks, a paddle tennis court, two screening rooms with a comprehensive DVD library and lots of board games for the children. The properties are WiFi enabled. Our wonderful team of 17 is headed up by estate manager Maria, who has been at Ezzahra for over ten years. 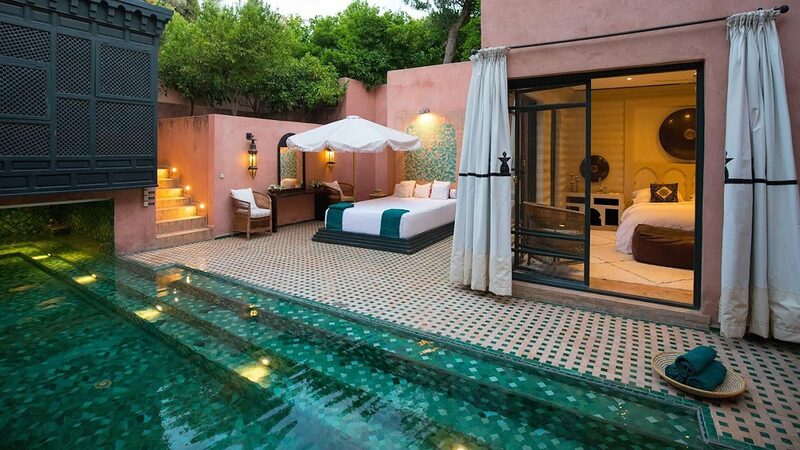 She is on hand to organise activities and excursions, including tours of the Medina, shopping trips, horse riding, yoga lessons and visits to the Atlas Mountains.